Nitya Mehra is an assistant director and director, who is all set to make her directorial debut with Baar Baar Dekho. She has also directed several episodes of 24, the Indian version based on the American series of the same name. Born and raised in Delhi, Nitya tied the knot on 01 March 2015 to her fiance Karan Kapadia, who is a filmmaker and has directed the famous Durex ad, endorsed by Ranveer Singh. Nitya assisted Farhan Akhtar in Lakshaya and Don, Mira Nair in The Namesake and Ang Lee in Life Of Pi. 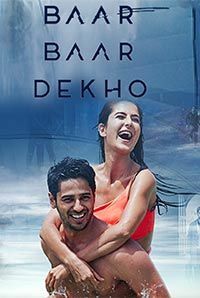 Her directorial debut Baar Baar Dekho is a romantic drama, starring Katrina Kaif and Siddharth Malhotra as the leads and Ram Kapoor and Sarika in supporting roles.